Does your course meet Arizona Department of Health Services (AZDHS), Bureau of Emergency Medical Services (BEMS) requirements for recertification? I'm from out of state or hold certification in a state other than Arizona. How do I become certified to practice as an EMT in Arizona or to recertify my NREMT? Yes, we are authorized by AZDHS to conduct Arizona EMT Refresher Courses. Our certificate training number is: 450438. As a 24 Hour Emergency Medical Technician Refresher/Transition course as defined in the 2009 National EMS Education Standards, approved by the Arizona Department of Health Services, Bureau of EMS, we meet NREMT requirements for recertification. Please be advised that the NREMT requires additional hours for recertification. You can get further information by going to the NREMT's Website. The state of Arizona requires that EMTs certified in another state hold current NREMT certification in order to practice as an EMT in Arizona. Our EMT Refresher course meets this requirement. 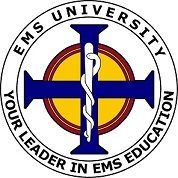 For assistance on recertification requirements in general, please see the Frequently Asked Questions on the EMS website, by Clicking Here. You may recertify as an Arizona EMT by taking our Arizona EMT Refresher Course. If you are seeking to meet NREMT recertification requirements, you may use our course to satisfy the formal EMT Refresher portion. Our course is a 24 Hour Emergency Medical Technician Refresher/Transition course as defined in the 2009 National EMS Education Standards, approved by the Arizona Department of Health Services (AZDHS), Bureau of Emergency Medical Services (EMS). The course is 24 hours, usually spread out over a period of 3 days. On the last day, you will be required to take a state examination to receive course verification that you can use to meet Arizona and NREMT requirements. The score to pass and receive your validation certificate is 75%. Per Arizona statute, you are permitted to take the exam a maximum of 3 times prior to being required to take the course all over again. If you must repeat the course, we can offer you a discounted rate. Ask your instructor for details. The cost to take one course is $220.00. Also, please keep in mind that we guarantee the lowest price in the Phoenix Metropolitan Area for an EMT Refresher Course. In the event that you find a lower price, we will provide an additional 10% off the competitor's price. This way you receive the lowest possible price for your recertification. The process is simple... You can request this by using the live support chat button, emailing us at info@arizonaemtrefresher.com or by calling us at (800) 728-0209. Be sure to include the email address, payment method, and the last 4 numbers of your credit card. We try to make it as easy as possible for you. We can email, fax or mail your receipt. The process usually takes 24 hours to complete. If you need it done quicker, calling or using the live support option are the best ways of receiving a rapid response.